Squash blossoms ready for the kitchen. Edible flowers: They look too good to eat. A butterfly investigates a Zinnia. 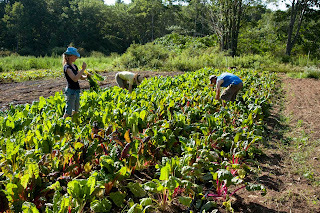 Workers harvest Swiss Chard at Green Spark Farm in Cape Elizabeth, Maine. Dill is one of the most versatile herbs. It can be use for both cooking and bouquets. Cilantro is the perfect accompaniment to late summer's eggplants, tomatoes, and peppers, to enjoy in Mexican, Indian, and Asian dishes. It tends to bolt in the heat of summer, but if you plant the slow-bolting variety Santo now, you'll have a good leaf harvest in 50-55 days. Dill is useful for cooking in the leaf stage, or you can let it flower and use the pretty yellow umbels in bouquets. 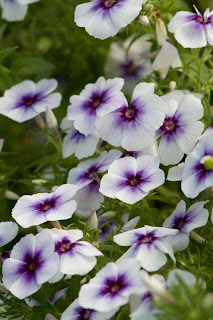 The best variety for flowers is Vierling. For high leaf yields in a small space, try the dwarf variety Fernleaf. Leaf fennel makes a superb addition to salad mix when you cut it at the baby stage. Or, let it grow to full size and harvest the ferny, anise-flavored leaves. Parsley takes about 75 days to maturity, but it's fairly cold-tolerant and can be grown during the fall in a hoophouse or under row cover. Napoli carrot is a special Early Nantes variety renowned for its sweetness in cold weather. Napoli is ready for harvest in about 58 days, but it can be left in the ground to get sweeter as the weather gets cooler. 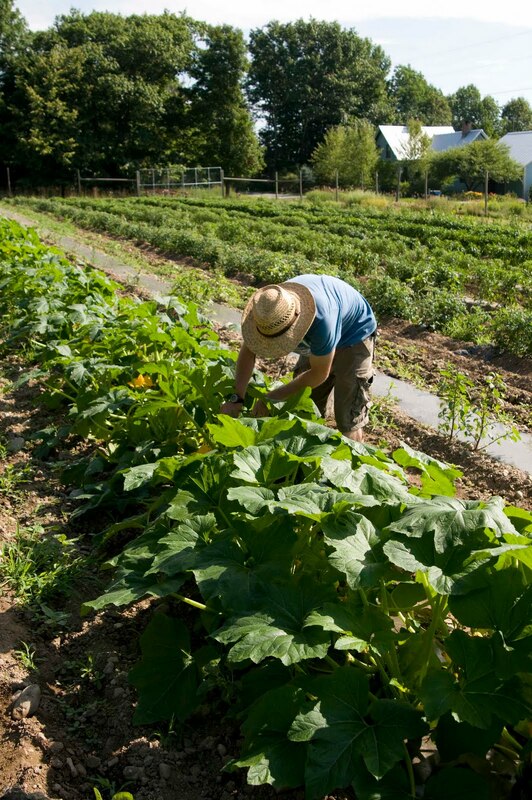 In the South, carrots can be grown outdoors for winter harvest. In the North, Napoli is the perfect carrot for hoophouse production. Eliot Coleman, author of The Winter Harvest Handbook, plants them in late summer in an unheated hoophouse and seeds a sufficient quantity that he can harvest them all winter. Eliot calls them "candy carrots" and delights in the fact that children love these delicious winter carrots. Napoli grows up to 7" long. It has smooth, blunt roots and strong tops. It's available as organic or nonorganic seed, and can also be ordered with conventional pelleting or pelleting approved for organic production. Spinach is an important crop to plant in the next couple of months. In the field, it will flourish in the cooler days of autumn and will even withstand some freezing weather. 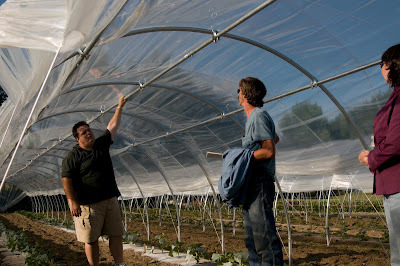 In the hoophouse, it can be kept growing all winter if it's protected with row cover held above it on hoops. 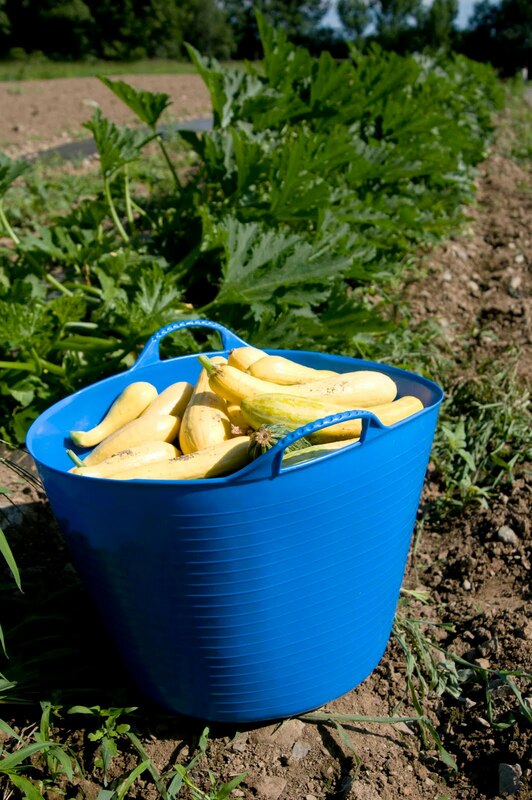 It's also a great crop to seed in fall and overwinter under Quick Hoops™ for early spring harvest. 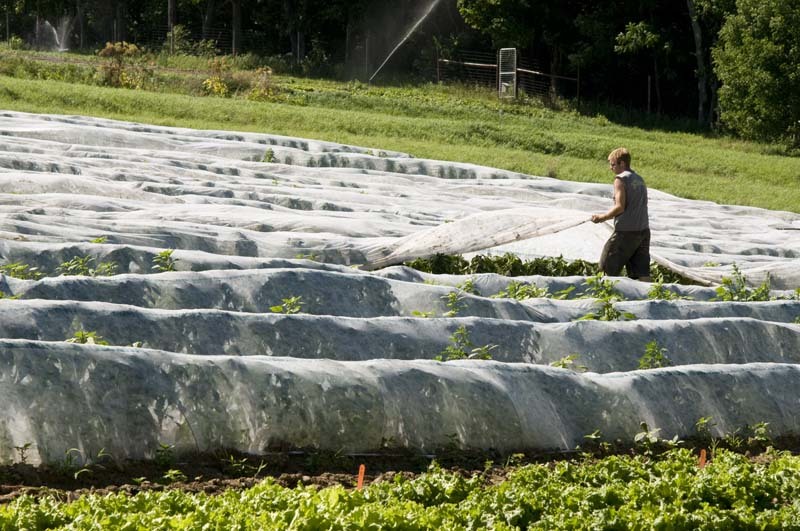 The main obstacle for the fall spinach grower is getting seed to germinate in hot weather. If the soil is above 85F/29.4C, germination will be spotty at best. 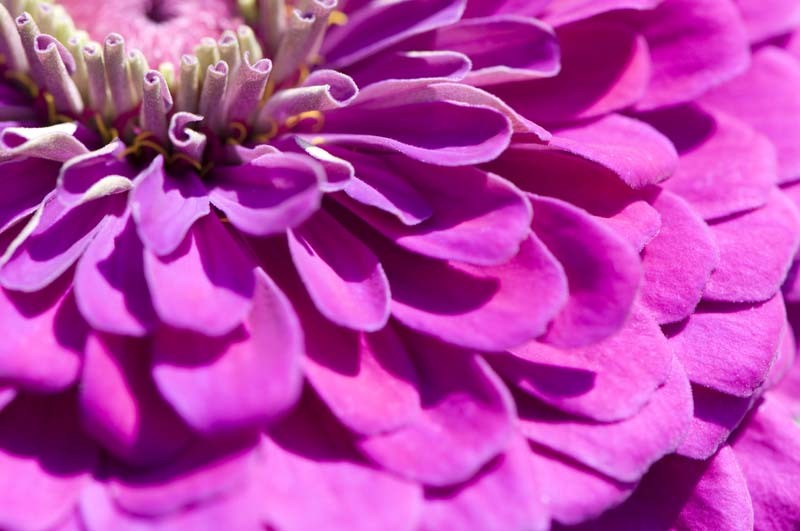 Before planting, cool the soil by watering it and covering it with shade cloth for a week. Or, if you are planting on a small scale, soak the seeds in water overnight, then drain well and put them in the refrigerator for a week. When the seeds sprout, they can be planted carefully. 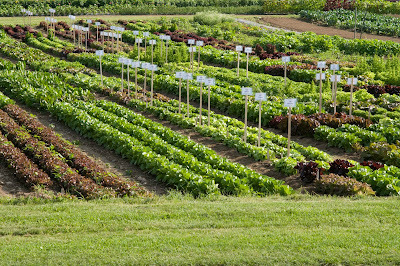 Space is the best variety for fall planting because it is the most cold-tolerant and will continue to produce after first frost. For overwintering, try seeding Tyee in September for spring harvest. Mache can be grown all winter. The mild, sweet, nutty flavor and tender leaves of mache, also known as corn salad, makes it a perfect substitute for lettuce in late fall and winter. The small rosettes of dark green leaves are ready in 50 days. It can be grown all winter under Quick Hoops™ or in a hoophouse. It also can be grown in a planting tray in a cold greenhouse. Because it can tolerate cold, you can harvest it as needed throughout the winter. Be sure to plant enough for a long season of tender salads! 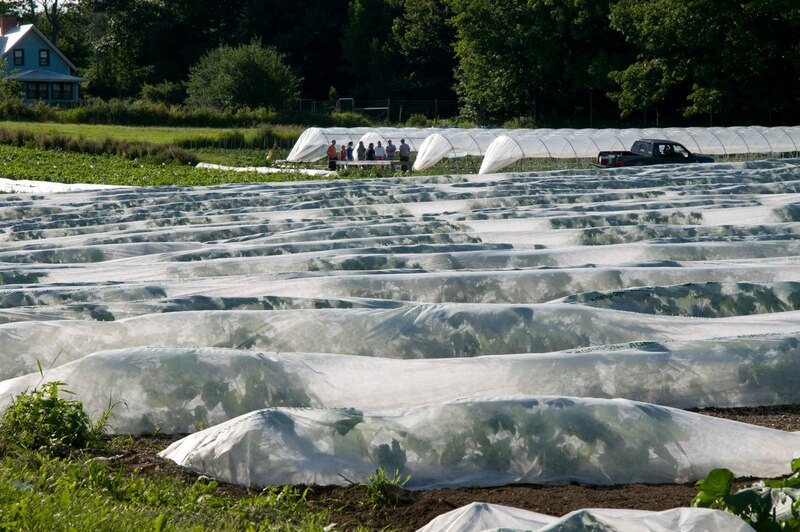 Low tunnels made from electrical conduit bent with our new Quick Hoops™ Bender can extend the season this fall and next spring. 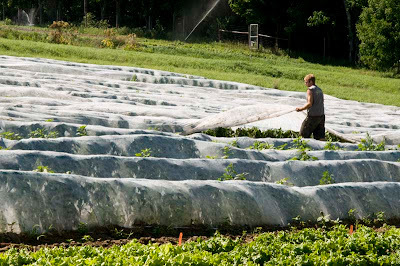 The hoops can be covered with shade cloth to cool the soil for starting fall crops. 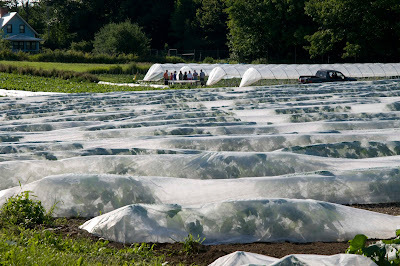 Then the shade cloth can be replaced with row cover for frost protection in fall. Add a layer of greenhouse poly when the weather gets cold and you can keep many crops growing well into winter. Last winter, we used Quick Hoops™ at Johnny's Research Farm in Albion, Maine to trial varieties and planting dates. For example, we started some lettuce in the greenhouse in September and transplanted into the Quick Hoops™ in October. Those plants grew a few inches and then became dormant until early spring. 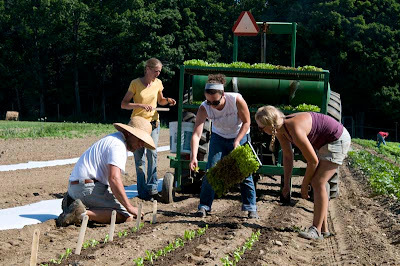 We direct seeded another round of lettuce in November, and those seeds didn't germinate until spring but were ready for harvest much earlier than spring-planted lettuce. You can read more and see photos on Johnny's Facebook page. We'll be continuing our trials this fall and winter with the goal of identifying the best varieties for Quick Hoops™ production. You can expect to hear much more about this research in the future. 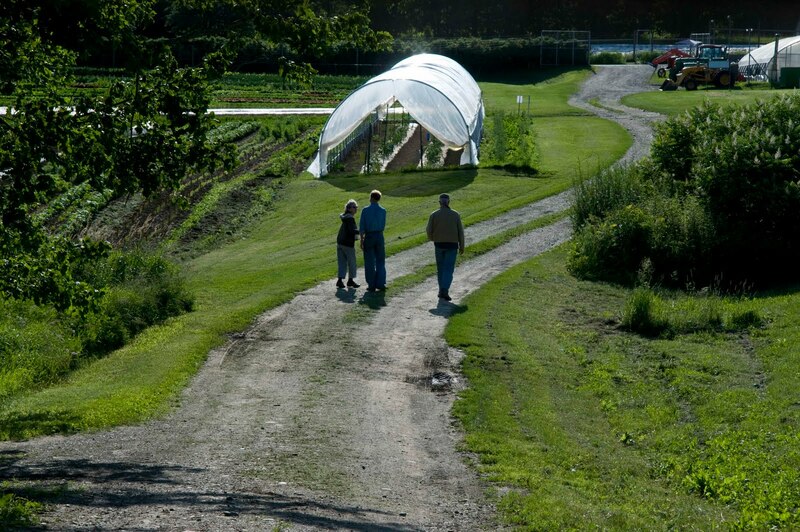 In the meantime, we encourage you to experiment with these easy and inexpensive low tunnels to find the best timing for your own fall, winter, and early spring crops. 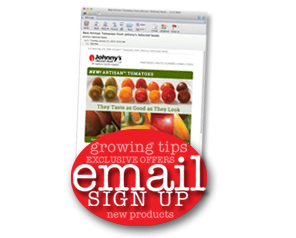 Note: We've recently updated this article and republished it on Johnnyseeds.com to better help our readers find up-to-date heat-tolerant, variety-specific information. Why a Friend: Known as ladybugs, ladybird beetles, and lady beetles, larvae and adults aggressively eat soft-bodied insects. There are many native populations in any given spot throughout the world. The Mexican Bean Beetle is a well-known member of the Coccinellidae Family and is not carnivorous. Both larvae and adults of this species prefer eating bean plants. Predator of: Aphids, mealybugs, whiteflies, scale insects, thrips, psyllids, and spider mites. 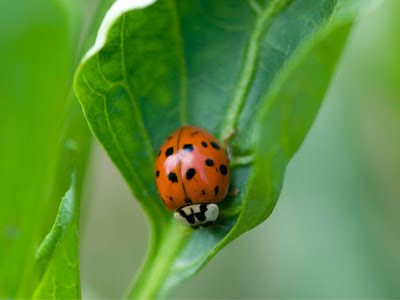 Lady beetles can eat 40-50 aphids per day and 200-500 within their lifetime. Life Cycle: Adult lady beetles overwinter in field edges under rocks and leaf litter. They prefer any protected area and sometimes they choose to come inside homes. When encountered inside the home, the insects can be transferred outside into a sheltered spot for the winter. In warmer climates, the adults will slow their development relative to the temperature. Adults emerge in the spring looking for a food source and place to lay eggs. Eggs are laid in masses or singly, depending upon the species, where there is a source of food for the newly hatched larvae. The eggs hatch and larvae begin to feed right away. 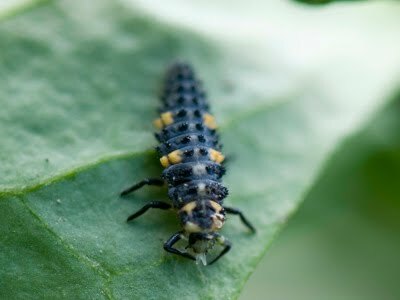 Lady beetle larvae look like small alligators with six distinct legs. These larvae can differ in color and size, depending upon species. Some are black and/or gray with red or yellow spots. They go through three instar stages before forming a pupa. The adult emerges from the pupa to find a mate and feed on prey. How to Identify: The lady beetles have three body segments: the head, the pronotum, and the abdomen. The elytra (wing covers) cover the abdomen and can vary in color from yellow, brown, red, to black. Spots are present on some species and not on others and can be variable within a species. Ohio State University has published a Fact Sheet on Lady Beetles as well as an Identification Guide with images and features of common species. Keep in mind that native populations may vary in certain areas, so it is best to check with local cooperative extension agencies when it is critical to positively identify certain species. Lady beetles will exude a pungent-smelling odor when disturbed. How to Attract: Lady beetles eat mostly soft-bodied insects but occasionally supplement their diet with pollen and nectar. Planting an insectary garden will help bring in native lady beetles by attracting aphids that will not be pests on vegetable crops. These plants will also provide pollen and nectar as an alternate food source for lady beetles. These insectaries will attract other pest predators, as well. We recommend planting the following and letting them go to flower in your insectary planting: Beneficial Insect Attractant Mix (#1832), Colorado Yarrow (#1338), Genovese Basil (#911G), Blue Spice Basil (#181), Mrs. Burns’ Lemon Basil (#774), Common Chamomile (#914), Santo Cilantro (#2928), Bouquet Dill (#920G), Grosfruchtiger Leaf Fennel (#2395), Forest Green Parsley (#529), White Dill Ammi (#1034), Jewel Mix Nasturtium (#1420), and Mammoth Red Clover (#980G). Discouraging ants from ‘farming’ aphids will aid in the lady beetles’ access to their prey. 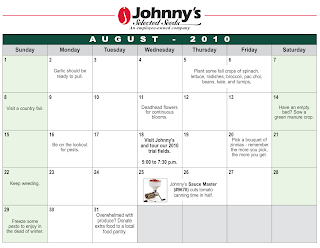 Visit Johnny's Trial Fields: Twilight Walk August 18th, 5:00 to 7:30 p.m. 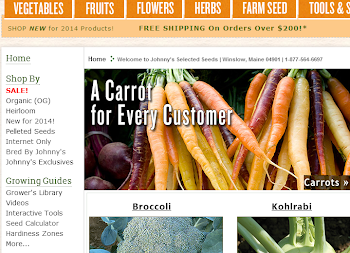 Please contact Susan Anderson at sanderson@johnnyseeds.com with any questions. 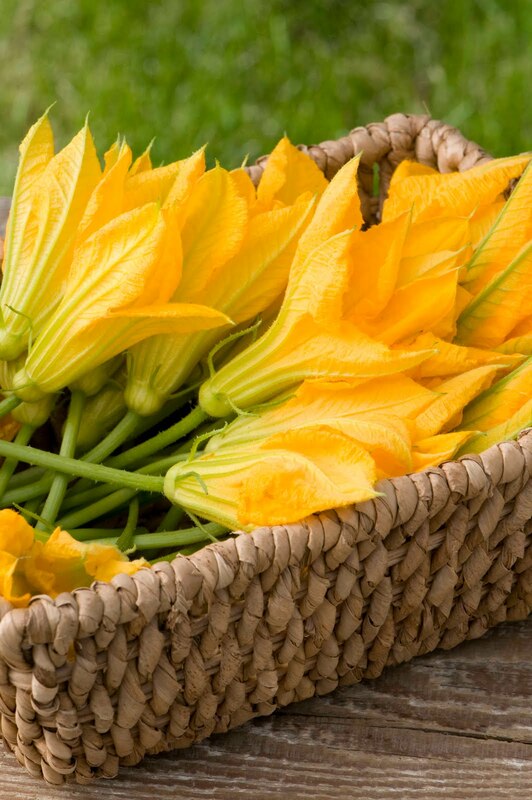 In this week's episode, we take a look at our melon trials, zinnias, snapdragons, eggplant, corn, and a special treat -- okra. 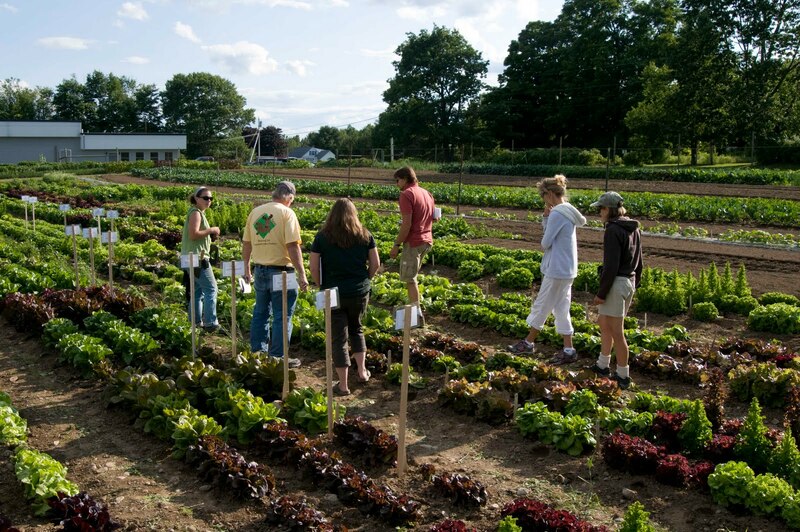 We also examine a lettuce trial with Janika Eckert, a Johnny's board member, plant breeder, and the wife of Johnny's founder Rob Johnston. Labels: Crop walk video, Johnny's News and Events, vegetables, Video, What's Growing On? Labels: Photos, What's Growing On? Today's crop walk of our trial fields includes a look at cauliflower, Swiss chard, corn, grafted greenhouse tomatoes, eggplant, peppers, pumpkins, and some beautiful Amaranthus flowers. Labels: Crop walk video, Video, What's Growing On? At higher seeding densities (25 seeds/foot) choi will not head up into a large plant. However, mini heads are a great way to market these types of greens differently, and the faster turnaround means more money using less time and space. Mini heads are a great way to market Choi. They require less growing time, less space, and can be quite profitable. High seed densities (25 seeds/foot) will prevent heading up into large plants. 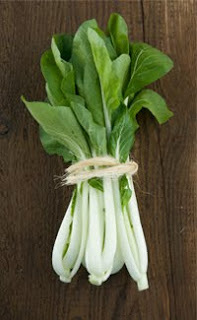 Sell Mini Choi bagged, by the pound, or bunched for stir fries. Mix and match the green stem, white stem, and red varieties for a colorful display. Do the same with Vitamin Green and Tokyo Bekana to add more diversity to your braising greens. Keep an eye on your Asian Greens for signs of bolting. 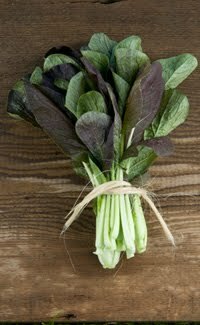 If you notice this right away, the tender shoots can be harvested, bunched, and marketed the same as mini broccoli - again very nice for stir fries. Be sure to hand harvest these as a quality control check. 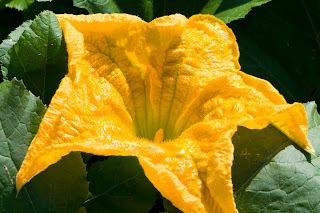 If shoots bend and are difficult to snap with your fingers, or if they have fully open flowers, they are too woody and will be tough when cooked. Shoots that snap easily are generally those with flowers that are just about to open (you can tell be the swollen buds) or maybe only one or two flowers jumped the gun and have already opened. 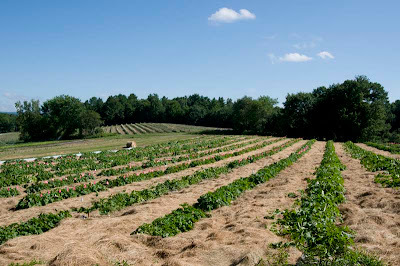 Johnny's farm workers lay down straw mulch on the pumpkin patch. 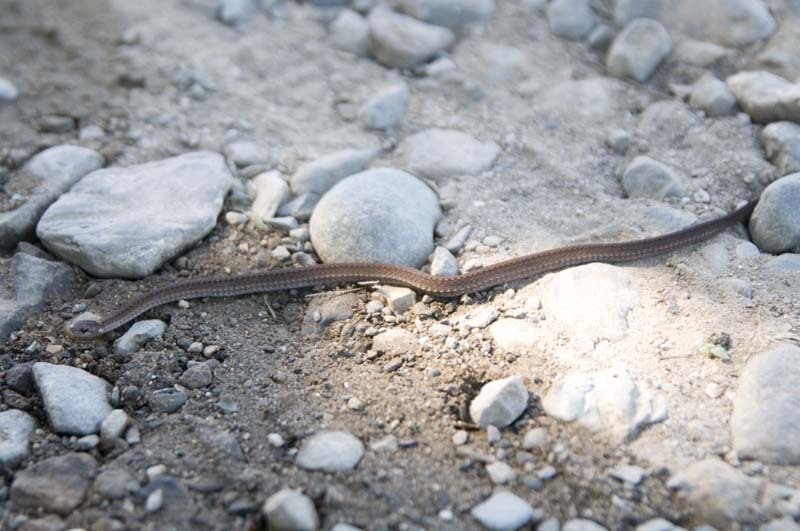 A garter snake scurries off after enjoying the sun. 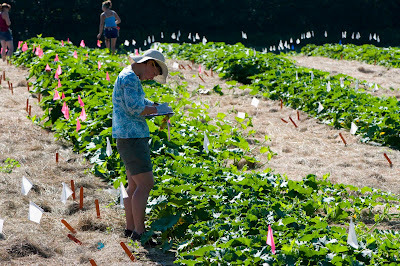 This week's crop walk was a hot one. On Tuesday and Wednesday, it hit the mid-90s here in central Maine -- a little warm for these parts. In this video, you'll get glimpses at several trials -- broccoli, marigolds, chicory and corn (it's more than knee-high by the 4th of July). We also have an action clip of a couple our farm workers laying down straw mulch over the pumpkin trial field -- a hot and dusty task on this day. We finish up with some tomato pruning. Apologies for the lack of audio. Our microphone imploded during shooting. Wireworms are pests on many crops like potato, corn, grain crops, and other various vegetables. They live for years in the pupal stage, therefore making them a difficult pest to eradicate. Life Cycle: Wireworm adults (click beetles) lay eggs in groups in the soil. Adults are active at night during the summer months. 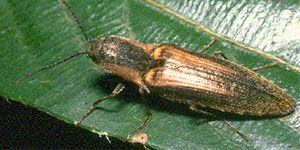 Eggs hatch and larval forms dwell in the soil for 2-5 years until pupating into the adult click beetle. The inch-long larvae are light brown in color. 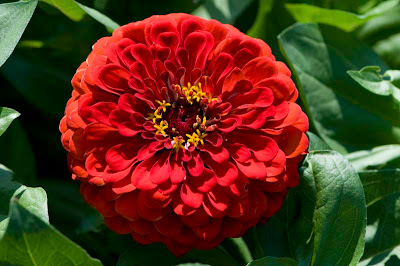 They seek deeper soil when the weather is very hot or very cold but are commonly found in the top 8-10” of the soil. 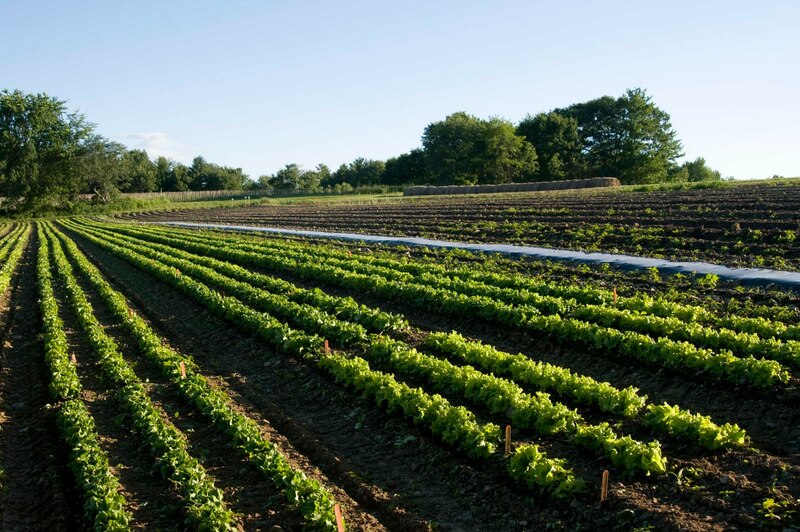 Larvae tend to be found in wetter parts of a field or in fields that were recently turned from sod into cropland; although, larvae can be found in fields that have been in cropland for many seasons. Plants affected: Crop damage occurs during the wireworm’s larval stages. 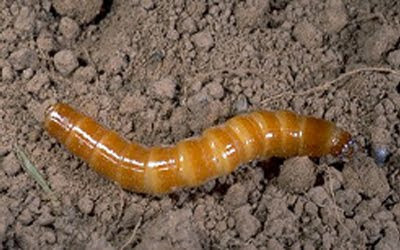 Larvae feed on seeds, roots, and tubers. Wireworms are attracted to and feed on corn and grain seed, and potato seed pieces and tubers. This feeding can reduce a crop stand, thereby reducing overall yields. Wireworms will also burrow into tubers damaging the crop and making it unmarketable. When soil is drier, wireworm damage tends to be higher on tuber crops due to the pest seeking moisture from the crop. Control: Population density estimates can be inferred from larvae caught in bait stations. Bait stations consist of a shallow hole dug in the field, 6-8” deep and 3-4” wide, filled with corn or wheat, and covered with a piece of black plastic. The bait hole is left for a week then dug up to count wireworm larvae. Several of these bait holes should be placed in a one-acre field to assess accurate populations. Screening can also give a grower an estimate of how much wireworm pressure is in a field. Screen a one foot square area, 6-8” deep. Several of these samples should be taken in a one-acre field. If there is one wireworm found in the square foot of soil screened, then the pressure is considered high. This is not an adequate method for control. Rather, it is a way to determine if a field is appropriate for crops that are susceptible to wireworm damage. If wireworm pressure is deemed high, choose crops that will not be as susceptible to their damage. There are conventional pesticides that are labeled for wireworm. A biological control consisting of a fungus that infests insects has been scientifically researched and proven as effective as conventional controls for wireworm. Johnny’s is investigating carrying such a product. Read all product labels in full and follow label instructions as specified for that particular product. It certainly feels like the middle of the summer; with temps in the 90s and high humidity the past few days, but the calendar says the first of July so I'll wait a while to see if we are indeed in the middle of the summer or if this is a prelude of things to come. Certainly is different from last season which saw cool and moist conditions for most of the growing season. The sunny and hot days of summer are great for killing weeds. I was cultivating in a field last week that had a carpet of weeds 6-8 inches high. One pass with the tractor was all it took; the field earlier this week look great! 90% of the weeds were killed and one more pass through this week will clean up the field for the season. Two cultivation passes for one growing season - if all crops were only that easy! Vining crops will canopy over soon so cultivation will be over for the season. Time moves so quickly this time of year! The last corn cultivation happens this week; we'll seed red clover in the corn then cultivate it in. The clover will grow in the under story of the corn so once we mow the corn we'll have a nice crop of clover already established and growing. 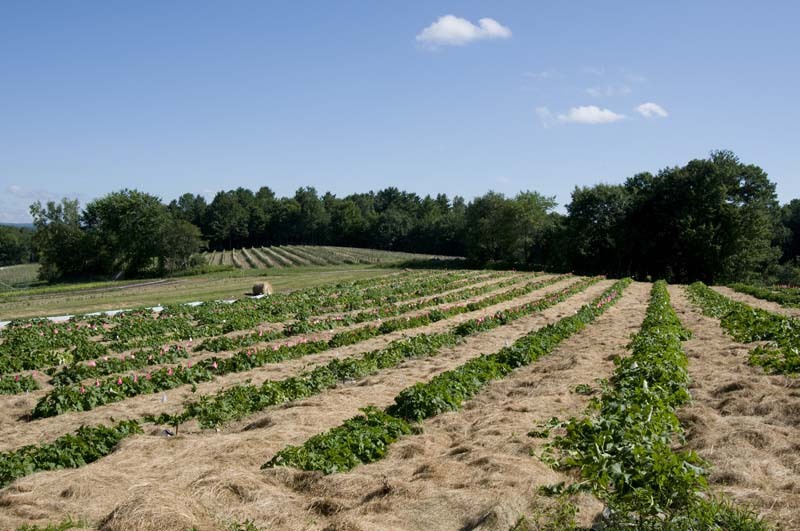 Next spring we'll plow under the clover once it has grown vigorously for a few weeks and is getting ready to blossom. This is the point in time where it will have the maximum amount of nitrogen in the soil and will benefit the subsequent crops significantly. Annual alfalfa works equally as well, but it's growth rate is much faster. The spring crops have pretty much gone by now; the spinach is bolting and the lettuce is sending up its flower stalks. The swiss chard for seed is blossoming and will be setting seed shortly. 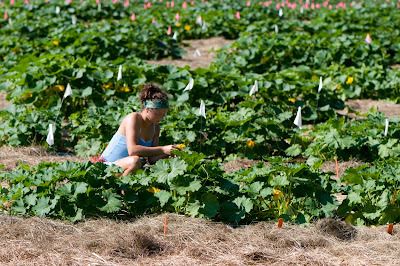 The squash and pumpkins are loving this weather as are the melons. Everything that likes it warm is doing great right now. It's nice to see some warm weather after last year. The challenges of last year like Late Blight and excessive moisture are but memories now and I'd like to keep it that way. I'd really like to see a "normal" growing season for this year. The next two months will see lots of growth here at Johnny's farm and that's one thing that makes it interesting; things are always changing. We do have a few things planted on the one strip of plastic I put down this spring. We planted cabbage and Brussels sprouts along with collards on poly and covered them with floating row covers to keep the flea beetles at bay. We planted gladiolas on plastic; we'll see what they do. We like glads but it's a pain to dig them up and store them every year. I have a friend that plants them deeply, 8 inches or so, and leaves them there. The past few years they haven't frozen so they come up year after year. I suppose some year she'll lose them but it certainly saves a lot of time. I had lots of volunteer potatoes, both here and at home this spring. They can carry a strain of late blight so we pulled them and disposed of them. The potato trial here looks great this year - the plants are tall and robust. In fact, everything looks great here this year! Another month and we'll be harvesting - scary. 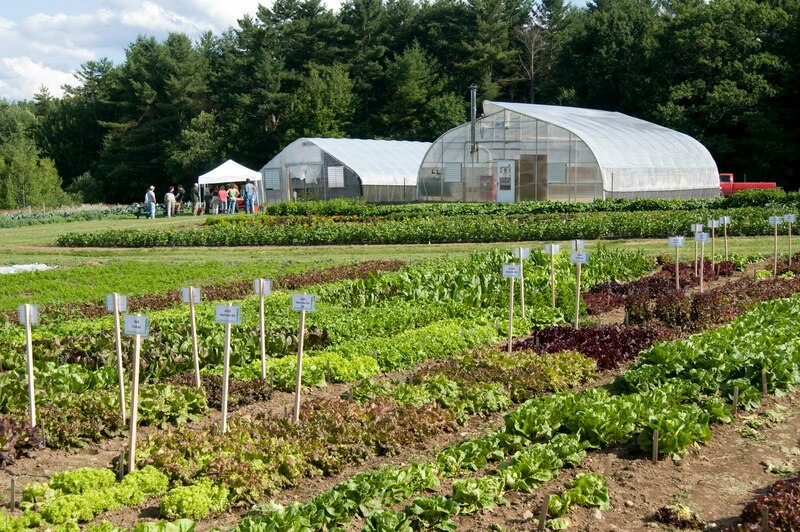 Here are a few quick clips from our weekly walk around the Johnny's Selected Seeds Research Farm in Albion, Maine. It's early summer and we've had almost perfect weather for growing -- moderate rains followed by warm, sunny days. The crops are looking good. Our first plantings of lettuce and spinach have peaked. The broccoli looks ready to harvest. 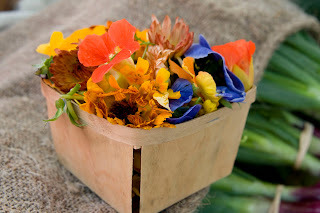 We also take a look at peppers, tomatoes, squash and a few flower varieties, including some beautiful snapdragons. For the latest farm news, read weekly report -- "What's New at the Farm" written by Brian, the Johnny's Farm Manager. Labels: Video, What's Growing On? Why a friend: Larvae of the hover fly eat crop-damaging and disease-transmitting insects. 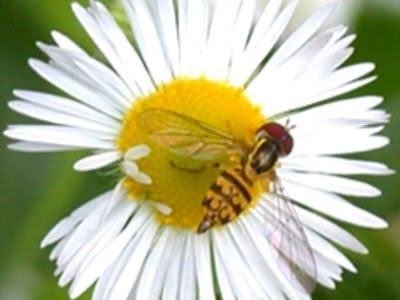 There are many species of hover fly throughout the world. 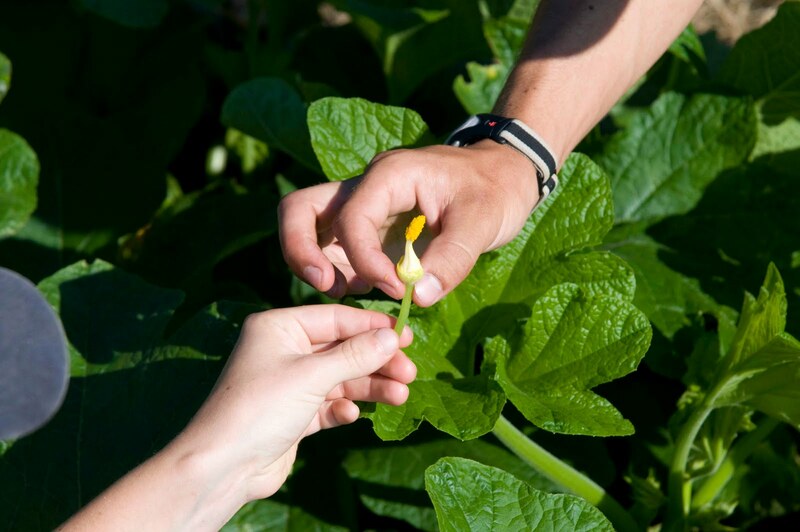 Adults are easily attracted to where a grower needs them. Hover fly larvae consume as many and sometimes more pests than ladybird beetle larvae. Adult hover flies help pollinate plants as they feed on the nectar and pollen in the flowers. Life Cycle: Adults lay eggs on the undersides of leaves of crops that have pests present. Eggs hatch and the larvae begin feeding. Larvae pupate into adults in 10-30 days, depending upon the temperature. These beneficial insects overwinter in colder climates as pupae in the soil or on crop debris. In warmer climates there will be adults and larvae present all year. Pupation will occur at 30-33 days during the cooler temperatures of winter in southern regions. How to Attract: Native populations of hover flies are easily attracted to pest populations with well-positioned insectaries. 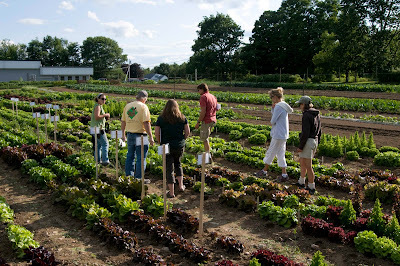 An insectary is a garden planted to attract beneficial insects. Insectaries can be planted with white alyssum, yarrow, cilantro (let it go to flower), parsley (let it go to flower), basil (let it go to flower), anything in the carrot family, clover, nasturtium, buckwheat, ammi, golden tuft, dill, cosmos, mizuna, hairy vetch, and chamomile. 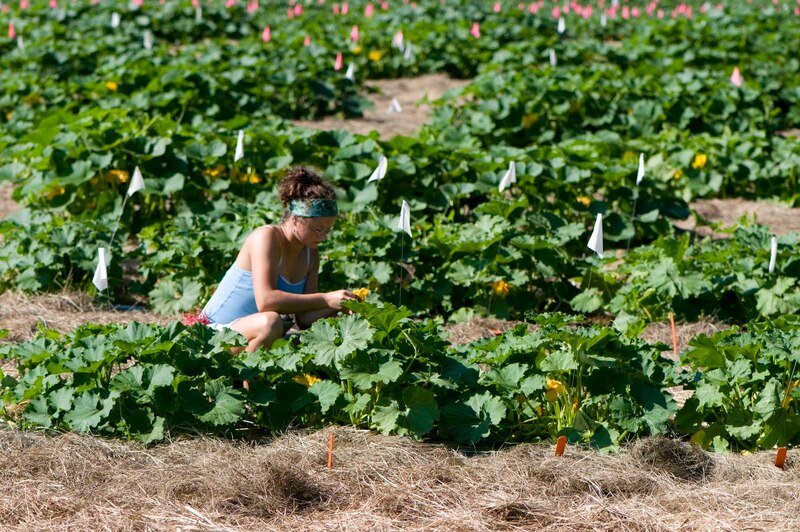 Insectaries planted in the immediate area of the target crop will be the most beneficial. Plant an insectary outside the open end wall of a hoophouse. 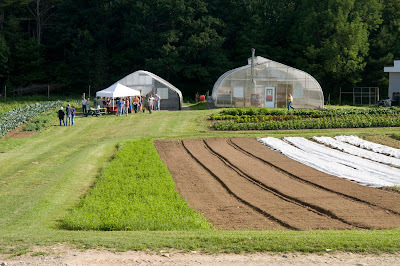 Adults will fly into the hoophouse to lay eggs on the crop plants. 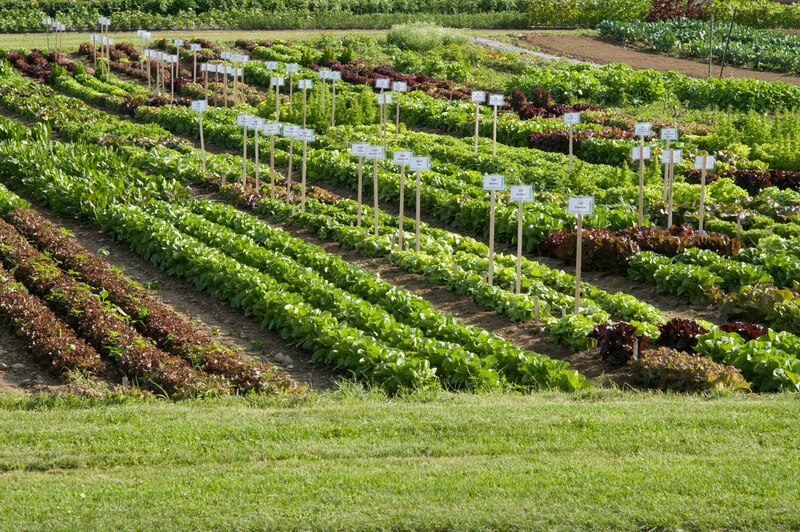 Insectaries can also be placed in strips between fields, put into a planting plan within the field, or planted into containers. The containers allow them to be mobile so you can place them just about anywhere you need them. 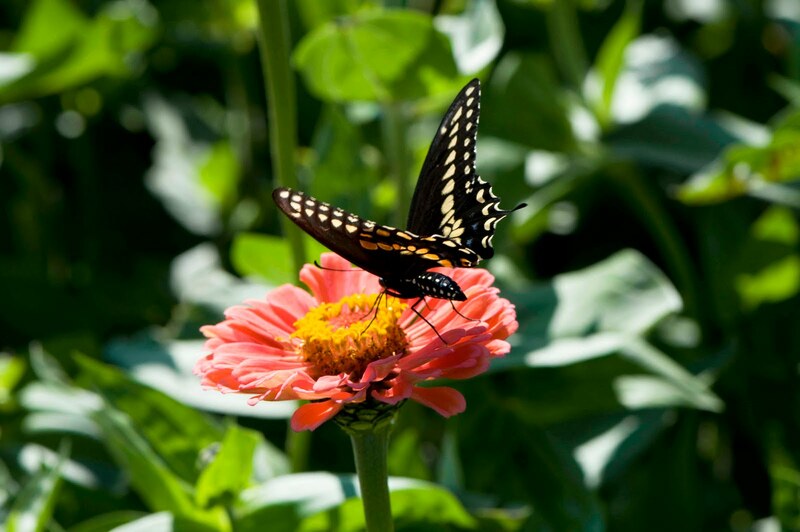 We recommend planting any of the following and letting them go to flower in your insectary planting: Beneficial Insect Attractant Mix (#1832), Colorado Yarrow (#1338), Genovese Basil (#911G), Blue Spice Basil (#181), Mrs. Burns’ Lemon Basil (#774), Common Chamomile (#914), Santo Cilantro (#2928), Bouquet Dill (#920G), Grosfruchtiger Leaf Fennel (#2395), Forest Green Parsley (#529), White Dill Ammi (#1034), Jewel Mix Nasturtium (#1420), Mammoth Red Clover (#980G). How to Identify: These true flies (in the Order Diptera) float over crops and duff (thick layers of organic matter on soil surface) like a kite, seemingly not moving. They are a rare exception in the insect world in that they can fly backwards. They have one set of wings, unlike the insects that their body color mimics (wasps and bees in the Order Hymenoptera) who have two sets of wings. This mimicry is thought to deter predators from eating the hover fly because of potential stinging. Hover fly larvae are not easily found, even for entomologists. They resemble a slug or worm that is about 4-8mm long and can be off-white or light green in color. 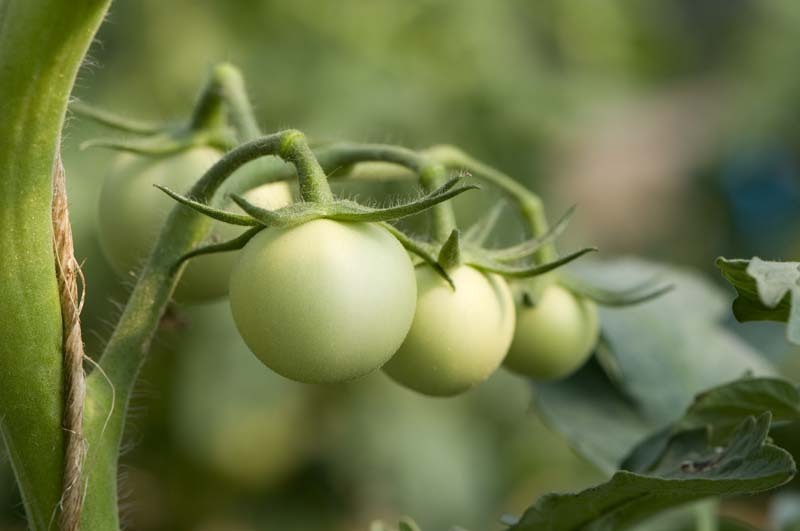 Adult populations are easy to spot when there are aphids or other soft-bodied pests present. They hover over the crop looking for a good place to lay eggs, and will land and feed on the nectar and pollen of flowers nearby.